Since it was launched in 2002, the intention of This Is Spain has always been to give accurate information to those considering moving to Spain or those already here, particularly those still finding their way around. Situated in southwestern Europe and covering an area of just under 506,000 km2, Spain is officially a Kingdom and connected to mainland Europe along its border with France. Its various regions, municipalities, cities, towns and villages are extremely diverse and all have an appeal of their own. Surrounded by coastline other than its borders with France and Portugal, Spain is a hugely popular holiday destination with visitors from Britain, Ireland and northern Europe seeking glorious sunny weather, and miles of golden sand beaches, and claims second place as the most visited nation in Europe. When choosing to go on holiday or relocate to another country there are many factors people consider, and we all have our likes and dislikes. As a holiday destination, the language barrier many of us face in Spain is not so much of a problem as most of the main tourist destinations in the country have shops, supermarkets, bars and restaurants that employ one or two English speaking staff, and in some of the most popular tourist resorts you hardly hear a word of Spanish being spoken. Having said that, the more intrepid travellers who head into the mountainous interior or lesser known beaches to catch the perfect wave, may wish to learn a few words and phrases of the language. For those making the move to Spain permanently, unless you run your own business that deals mainly with expat communities from your home country, or work in a popular resort area where you can get away with speaking your own language, living in Spain can pose a bit of a problem. Buying a property, dealing with lawyers and accountants and most of all, dealing with Spanish government departments and paperwork can all be troublesome and best dealt with by employing a qualified and knowledgeable interpreter. It’s not all doom and gloom, and these teething problems with the language barrier are far surpassed by the benefits of holidaying and living in this wonderful country. Aside from the northern regions on the Atlantic Ocean and some of the inland mountain areas, Spain enjoys a fantastic climate with long hot summers, mild winters and year round sunshine. Spain’s beaches are some of the best in Europe, many regularly receiving the prestigious Blue Flag Award for their cleanliness and facilities. Most of the popular tourist towns and resorts can be visited on excellent value package holidays and visitors choosing to find their own accommodation or staying with friends now have a fantastic choice of budget airlines that fly from many European countries. The general cost of living is very easy on the wallet and popular cities and resorts such as Marbella, Malaga and Benidorm have fierce competition in the tourism and catering industries, thus keeping prices low. The overall beauty of the country and unbelievable variety of attractions and activities are also a major consideration when thinking of visiting or moving to Spain. 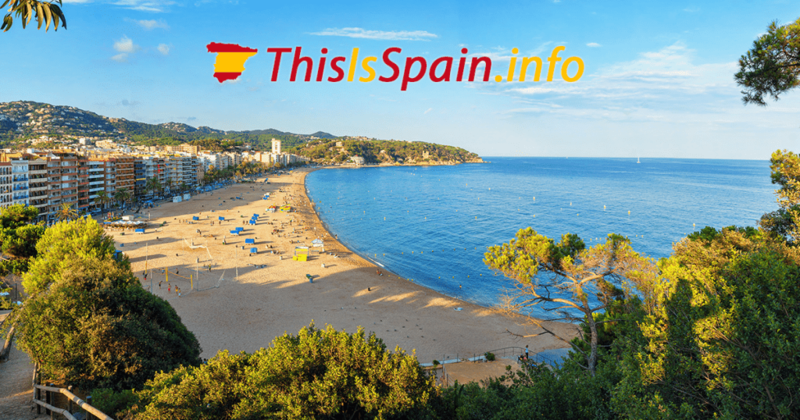 The entire coastline of Spain is divided into over a dozen ‘costas’ or coastal areas, all with delightful names when translated into English such as Orange Blossom Coast, Coast of Light and Golden Coast. The two most popular in terms of annual visitors and foreign residents are the Costa Blanca which incorporates the party capital of Benidorm and beautiful resort area of Orihuela Costa, and the Costa del Sol where you will find Malaga, Marbella and the lesser known but lovely town of Fuengirola. Both Benidorm and the area known as Orihuela Costa are two such places where English is spoken and understood widely, and if it wasn’t for the weather, beaches and palm trees there are parts of Benidorm where you could be forgiven for thinking you were back in Blighty! These places offer good work prospects for non Spanish speakers, especially in the catering trade, and for holidaymakers, boast fantastic attractions and activities, and so many bars and restaurants you would need all year to visit each one. The vibrant and sophisticated city of Valencia has a Costa of the same name and receives tourists from around the world to visit its amazing City of Arts and Sciences that incorporates a huge area divided into different themes such as a visually stunning Planetarium and Oceanografic that is home to a staggering 45,000 fish, mammals, reptiles and invertebrates from 500 different species. The other main draw to the city is its yearly festival known as Las Falles de Valencia (The Fires of Valencia), a combination of street parades, marching bands, street parties, elaborate firework displays and the burning of huge wood and paper puppets. The enchanting city of Barcelona lies on both the Costa Garraf and Costa Maresme and is another of Spain’s city’s that receives worldwide visitors. With ancient buildings and awe inspiring architecture, a vibrant Gothic Quarter, Michelin Star restaurants, beautiful stretches of golden sand beaches and a sophisticated marina boasting multi million euro yachts, Barcelona truly is a city of contrasts. Spain’s northern costas are the least visited, mainly due to their location facing the Atlantic Ocean bringing with it a much milder climate and bitter winters. The Basque Country takes up much of this region with the important port city of Bilbao being its largest city with regular ferries and mini cruises from Britain, stopping on a turn around visit. Part of Green Spain, the region receives regular rainfall which gives it a stunning landscape of lush meadows and valleys, rolling green hills, crystal clear lakes and snow capped mountains. Located on the Costa Vasca and close to the French border, San Sebastián is the closest city for visitors to nearby Zarautz that attracts a regular nomadic tribe of die hard surfers, many with the scars to prove it. The town has the longest beach in the Basque Country with legendary waves rolling in on the Atlantic. Also situated on the Costa Vasca, the town of Mundaka is another surfers dream and is considered by some to have the best river mouth wave in the world. Both of these towns, as well as San Sebastián are popular summer holiday spots. The Basque Country, Asturias and Galicia all have one thing in common, delicious seafood and arguably the best in Europe. Most chefs and fishmongers agree that cold water seafood, especially shellfish has a sweeter flavour and when tasting the seafood of these regions i’m sure most will agree. The rugged coastline and dramatic backdrop of the Cantabrian Mountains in Spain’s Asturias region lie on the Costa Verde and are home to the soaring Picos de Europa, the highest mountain range in mainland Spain. The region of Galicia has a coast of the same name but is also referred to as the Costa de la Muerte (Coast of Death) which is a fitting name for a handful of brave or downright crazy ‘Rock Hoppers’ (Percebeiros) who risk their lives on a daily basis to gather Gooseneck Barnacles from the treacherous rocks. About the size of a thumb and resembling a miniature dinosaur leg, these rather ugly looking crustaceans are the most prized of all seafood, and due to the extreme danger of gathering them, very expensive with a plate in a restaurant costing in the region of 100€. The region is also home to the beautiful Cascado do Ézaro, the only waterfall in Europe to empty directly into the sea. The inland region of Galicia is home to Santiago de Compostela where the shrine of the apostle St. James the Great is housed in its cathedral. The Camino de Santiago, known in English as the Way of St. James was one of the most important Christian pilgrimages during the Middle Ages and is still walked by many to this day. Traditionally the pilgrimage began at one’s home and ended at the pilgrimage site, but over the years many different routes spanning the country have been developed, some longer and more strenuous than others. Found on the Galician shores, the scallop shell is the symbol of the Camino de Santiago that is carried by pilgrims as recognition for others, many of whom will offer pilgrims food and shelter for the night. The grooves of the shell all meet at the same point, a metaphor for the different routes travelled by pilgrims and it also has a practical use as a cup or spoon. Along the various routes there are plinths, plaques and rough paintings of the scallop shell marking the way for these weary, but let’s hope, enlightened travellers. Madrid, the beating heart of Spain and its capital city. Occupied since prehistoric times, this sprawling city is the third largest in the European Union and home to over 3 million people. Among its splendid buildings and architecture visitors will find elegant boulevards, pristine parks, art galleries and important museums such as the Prado Museum which forms part of the Golden Triangle of Art along with the Museum of Modern Art and Reina Sofía Museum. Although a modern metropolis, Madrid has still managed to retain its historic charm and boasts some beautiful monuments and landmarks such as the Cibeles Palace and Fountain, National Library, Royal Palace of Madrid and the Royal Theatre and Opera House. Throughout the city’s parks and plazas are some stunning fountains, statues, sculptures and monuments where visitors will find wonderful shady green spaces providing respite from the blazing summer heat. Football fans would burn me at the stake if I didn’t mention the city is home to two of the most successful football teams in the world, Real Madrid and Atlético Madrid. Situated on the river plains of Guadalquivir, Seville is the most populated city in southern Spain and enjoys an excellent transport network. It is home to the only commercial river port in the country and has a metro and tram system as well as automated bicycle hire points throughout the city where people can pick up and drop off bikes for a minimal charge. Historical landmarks and museums abound in Seville including the Alcázar Palace, Cathedral of Seville, Plaza de España, the Archaeological Museum and the Museum of Fine Arts of Seville, housing the city’s most important art collection. Seville’s streets are lined with local bitter orange trees, adding a delightful citrus aroma for passersby, and there are some spectacular parks and green areas boasting picturesque lakes and fountains such as the Alcázar Gardens and peaceful María Luisa Park. Two of the city’s main cultural attractions are its music scene and delicious array of traditional tapas. The music here is diverse with lively rock music being enjoyed side by side with the residents love of classical performances, as well as the Sevillana dance known worldwide as flamenco. Tapas are enjoyed throughout Spain and originated in rural areas where the local barmaid serving wine to peasant farm labourers would cover their glass with a piece of bread to keep the flies from getting inside. Being extremely poor, many of the labourers would get into the habit of dipping the bread in their wine and eating it; thus from a humble piece of bread, a virtual smorgasbord of these tasty little bites were born. Sevillanos take their tapas seriously, and it is not uncommon for them to visit a number of tapas bars of an evening where they will order just the signature tapa of each bar, often a recipe passed down through generations. Comprising of two main areas, the Balearics and Canaries, Spain’s islands are world famous and offer diverse attractions appealing to a wide range of tastes, from the thumping megaclubs of Ibiza to the rugged landscape and volcanic heat of Tenerife. Depending on choice, visitors could be basking in the sun on golden sand beaches or black volcanic sand beaches, climbing the highest mountain in Spain or diving deep to explore the underwater world of Medes Island. It really is a matter of choice when visiting Spain’s islands, and a deciding factor for many holidaymaker is the closer proximity of the Balearics. Located between mainland Spain and north Africa, the Balearic Island archipelago comprises four main ones and a scattering of smaller islands and islets such as Dragonera and Cabrera. The largest, Majorca is home to the capital city of the islands, Palma de Mallorca that lies on the Bay of Palma. Steeped in history, the city has seen numerous rulers throughout its turbulent past and evidence of this can be seen in the variety of architecture such as the Old City which has a distinctive Arab feel when exploring its maze of narrow streets and walkways. Taking a sightseeing bus is a good way to get a feel for Palma and view some of its buildings and monuments that include the splendid spires and turrets of Palma Cathedral, Gothic style Silk Exchange, Royal Palace of La Almudaina and Bellver Castle, the first circular castle in Europe. Numerous Parks and plazas, tapas bars, restaurants, shops and boutiques can be found in the city and there is a picturesque marina and several excellent beaches to discover. Famous for its party scene and 18-30’s Club holidays, Magaluf sits on the outer edge of the Bay of Palma and is a major holiday resort with a lovely white sand beach and the raucous Magaluf Strip that caters to hoards of binge drinking British tourists looking to party till dawn. It’s excellent nightclubs fill up with stag & hen groups and feature some of the world’s top DJ’s. Even more famous for its party nightlife is the Island of Ibiza where Each summer sees the island come alive with fantastic International DJ’s and their ever present groupies filling the lively bars and huge nightclubs that have given Ibiza its fame. Not to be outdone by Magaluf, the town of San Antonio also has its strip aptly named Sunset Strip where the beach bars fill up with young crowds of revellers in the evening to watch the sunset and get in as many cheap drinks as possible before heading to the rather more expensive nightclubs. For a more peaceful and laid back holiday, the island of Minorca boasts endless white sand beaches and turquoise waters so clear that, when viewed from a certain angle boats at sea seem to be floating in mid air. The island truly is a sun worshippers paradise and has more beaches than Ibiza and Majorca combined. Pine forests reach almost to the sea, and situated near the town of Es Migjorn Gran, Cala Galdana is the most photographed bay in Europe. Also worth a visit is the Cova des Coloms (Cave of Doves) that form part of the Bingaus ravine. The towns and villages of Minorca all have a charm of their own and offer a selection of services. Which came first, the islands or the birds? Well i’m happy to inform you it was the islands that gave their name to the colourful canary bird and, part of the finch family, the wild ones are not as colourful. Lying off the coast of northwest Africa and home to the highest mountain in Spain, Mount Teide on Tenerife, the Canaries archipelago is made up of a number of islands and smaller islets, the most popular being Fuerteventura, Tenerife, Lanzarote and Gran Canaria. The diverse landscape of the islands attract many visitors each year, the majority heading for the volcanic island of Tenerife to sunbathe on the mix of golden sand and black sand beaches of its resorts. Tenerife’s interior around the volcano can be barren and stark yet holds a haunting beauty and hides lush valleys and quaint traditional villages. Much of this area is taken up by the Teide National Park with the lofty heights of Monte Teide its crowning centrepiece. Santa Cruz is the island’s vibrant capital with a mix of regal old buildings, modern architecture and wide sweeping streets. The city has some beautiful beaches such as Playa de Las Teresitas and visitors can explore its attractions on the open top sightseeing bus. The second largest of the Canary Island’s is Fuerteventura that enjoys a constant breeze, making it extremely popular for surfing and windsurfing. Surrounded by over 150 kilometres of pristine beaches, backed by rolling hills and interspersed with coves and cliffs also makes Fuerteventura a great destination for hiking and mountain biking. The majority of visitors though, prefer to just kick back and relax on the beaches, enjoying the cooling breeze and spending pleasant evenings in the vibrant bars and restaurants. Declared a Biosphere Reserve by UNESCO in 1993 due to its natural value and beauty, the island of Lanzarote offers visitors a diverse landscape of beautiful sun kissed beaches, vast lava fields and 300 odd volcanic cones. To the south of the island is the Parque Nacional de Timanfaya, a desolate area with the aptly named the Montañas del Fuego (Mountains of Fire) dominating the landscape. The south coast is home to Lanzarote’s newest holiday resort, Playa Blanca where the inviting curve of white sands offer a more peaceful and relaxing atmosphere than the more lively and noisy resorts of Puerto del Carmen or Costa Tequise. Although the entire Canary Island archipelago, due to its volcanic activity, has very diverse and contrasting landscapes, the island of Gran Canaria boasts the most dramatic changes in terrain and is often referred to as being similar to a mini continent all on its own. The capital city of Las Palmas has a large port that receives regular cruise ships and its Old Quarter, Vegueta is an inviting area to explore with stylish boutiques, chic bars and a fine selection of restaurants lining its maze of small streets. The coastline is rugged, giving way here and there to sandy beaches and holiday resorts. The inland mountains and valleys provide the perfect setting for nature enthusiasts, hikers and rock climbers, and the resort areas offer excellent water sports. If this article were part of a book about Spain it would be a very small chapter, such is the huge scope of opportunities this proud and endearing country has to offer. A land of ancient traditions, spectacular fiestas and festivals, outstanding natural beauty and a laid back attitude to life in general, Spain is an ideal choice both as a holiday destination and place to lay down permanent roots.